Let me just say..I LOVE Spring! So many things I love about it. After a long Fall and Winter it is so refreshing to see the sunshine, the flowers blooming, the little animals that hibernate all winter. The birds that migrate back to this area. It’s just so refreshing! 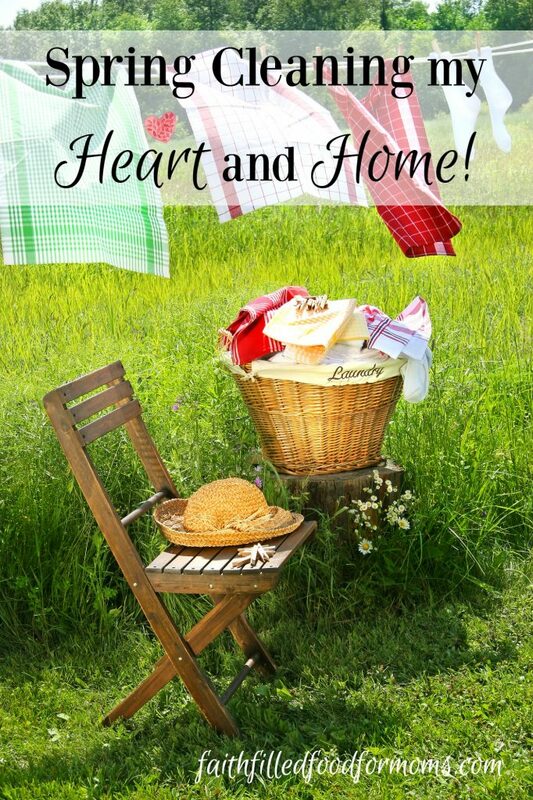 It’s time for Spring cleaning my home and my heart! 2 So what’s on my Spring Cleaning List for the House? To me Spring is when the New Year really begins. I’ve recovered from the holidays, I’ve watched with my windows closed and doors shut…the rain and the snow fall. When Spring comes, it shouts..open your windows, clean out those closets, get those cobwebs! Make your heart right and listen for a fresh vision from the Lord. Spring represents new things, new and fresh starts. It’s the time of year I do most of my heavy cleaning..not just house work, but also spiritually. I step outside and see all of the new growth on the flowers and trees and look in anticipation at what will pop up soon in my garden..also wondering if some of the bulbs and seeds that I planted last year will come up. So what’s on my Spring Cleaning List for the House? Clean out paperwork stuff! YUK! 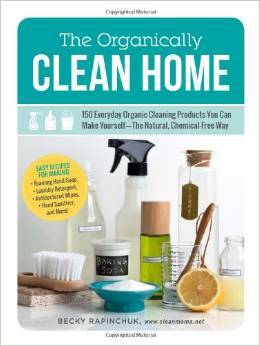 Becky (Clean Mama) also has another book out called: Cleaning Around the Seasons: Deep Cleaning On Your Schedule, it is super helpful if you are struggling or just want a little help with your deep clean planning. Lots of printable lists too! What about some Spring cleaning for your heart, your spiritual life? It’s important to always keep an insightful and honest look at our relationship with the Lord. To keep what’s working, seek the Lord for new vision and throw out what’s not working. Because I look at my heart as a garden that God has planted the seed of salvation and His Holy Spirit, I want to make sure that my heart soil is prepared properly. So that whatever fruit God may want to grow in my heart I am thoroughly ready to receive it. Sometimes of course this means some pruning so that I may bear even more and better fruit for His glory. OUCH..
Take an honest look at anything that is coming between me and God..sin..confess it and enjoy the freedom that God freely gives! Examine my close relationships with others..do they glorify God? Spend quiet time with God everyday. It’s kind of hard to hear from Him if we don’t spend time with Him. This would mean even in the shower for us Mommies! No excuses. Be excited for what God has for me..even if it seems different than what I might expect! His way is ALWAYS best! Do you Spring Clean? Your Physical house or your Spiritual house? Give me some of your ideas! Thank you, Shari Lynne! This is beautiful! Yes, here’s to Spring cleaning the house…and, far more importantly, the Spiritual house! and Happy Cleaning, dear sister! Thank you Caroline! It is most definately time for Spring Cleaning! LOL My heart is always ready 🙂 Thanks for stopping by! Blessings to you! I certainly could use a good spring cleaning spiritually as well. Never even thought about how they could go hand and hand there. LOL! My house is ready – – and so is my heart!! 🙂 Blessings ALWAYS to you, Shari Lynne!! I need to finish Spring Cleaning my home and my heart. I started a couple weekends ago on the house but it’s yet to be finished. I know right Kecia…it’s definately a process for sure! Thanks for stopping by! Blessings! Thank you Diane! So happy you stopped by! Blessings to you! You are so right! There are many kinds of spring cleaning that needs to be done! For sure 🙂 some harder than others LOL! Blessings and thanks for stopping by! What a beautiful post Shari Lynne!! Thank you for motivating me to begin my Spring cleaning. I have been putting it off for the past week!! Also for the reminder of Spring cleaning my heart. Every time I visit your page and blog I leave feeling truly blessed and refreshed. Awww you are so sweet Debbie 🙂 I love your Blog too! Your taste in art it beautiful! I’m glad you felt blessed, refreshed and inspired! What more could a blogger ask for!?? LOL Thank you so much for stopping by..Many blessings to you! I love this – not just the spring cleaning in the house, but the spring cleaning of your heart. Of course, you would think of this. What a great idea. Now, as I do that deep cleaning in cupboards, etc I too will think of how to spring clean my heart. Love the handouts too. Oohh you are so sweet Donna 🙂 <3 I'm glad you could use the handouts too! Thanks for stopping by! Blessings! Love the idea of spiritual spring cleaning as well as the house…. Spring cleaning is kind of cathartic for me — and I sure have plenty to do ahead! I love this idea, of cleaning both my physical and spiritual house this spring. Thank you for these practical words. Saying hello from the grace and truth link up. What a great post! I appreciate the resources you provided for spring cleaning your home, and the added emphasis on spring cleaning your heart! Both are needed from time to time, aren’t they? Thanks so much for linking up with us at Grace & Truth!